have fun whilst doing so? You can participate until June 17, 2018. We will announce the winners 2 days after the last group stage match of the Belgian Red Devils (June 30, 2018). The winners of the Deltalink World Cup Box can support the Red Devils into the next round (hopefully!) in style! What is it I’ll win? With this awesome Deltalink World Cup Kit you can scream our Red Devils into the final! – If you are 18 or older. We have 20 Deltalink World Cup boxes to raffle, so the best 20 predictions win the contest. 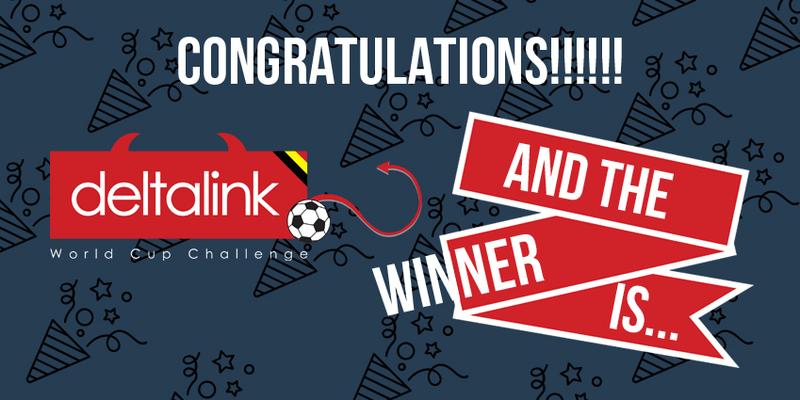 The winners of our DELTALINK WORLD CUP CHALLENGE are…..